I even missed my “Keeping You In Stitches” post yesterday! Hopefully, being back in a routine will help this coming week. Going back to work after a vacation is hard but things went as smoothly as they can. I’ve been walking back and forth each day, now that I live closer and that “free” hour of exercise is making me feel much better. 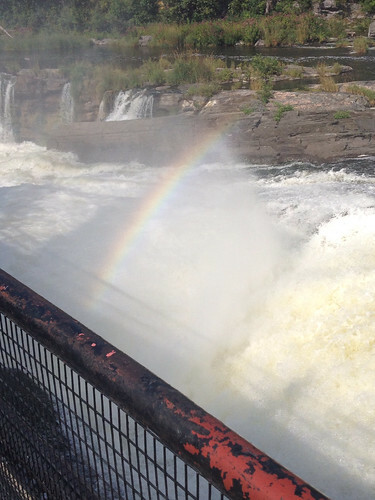 The commute takes me through a lovely local park and over The Rideau Canal and Prince of Wales Falls (Hog’s Back Falls for my local peeps) and that touch of nature and nurture in the day is good for the soul. 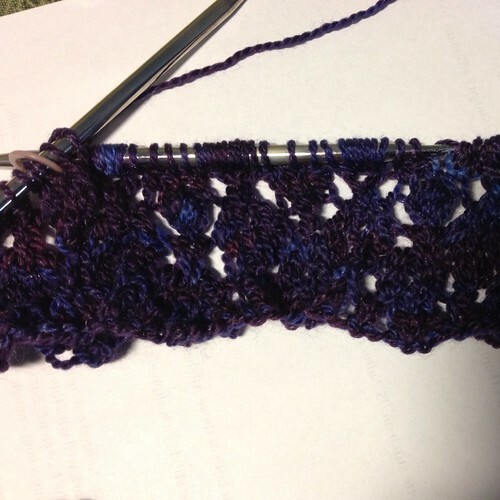 Clue 3 of the Addewid KAL was released Friday the 15th. I was at work when the notification came through and couldn’t wait to get home and start this section. I’m really liking the lace patterns used in this, they flow together beautifully and this design does not have the more traditional “spine stitch” in the centre, it grows with yarn over increases every few rows; subtle and pretty. No picture at the moment, I’m on the last couple rows and will do an ETA picture post tomorrow evening . Hope Monday treats you well. Cheers!